Forming an LLC may not be too difficult using our handy state kit, available for $34.95 below. It will walk you through the necessary documents to file with the state and federally to get an EIN (which you may need for banking or taxes), provide examples of the forms, and includes a primer on the pros and cons of choosing to operate as a limited liability company. You may reach the bureau by telephone by calling (717) 787-1057. The telephone lines are available from 8:00 am to 4:45 pm. The customer service representatives at the Pennsylvania Department of State can check the availability of three entity names per phone call. Name availabilities are not 100% guaranteed by telephone, as documents are constantly being received and processed. Written name availability is also available for a fee of $15 for a verification of three names. The URL, or web page address, for this form is as shown below. You may fill-out this form prior to printing. 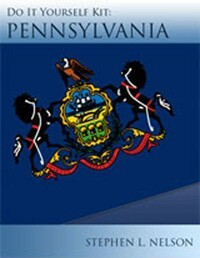 Pennsylvania wants to know the name and contact information for a real person within the state of Pennsylvania who the state can contact if it has questions or concerns about an LLC’s operation or if legal documents need to be served. Accordingly, enter your name and address information onto the lines that ask for this information. Where the Certificate of Organization provides a space for it, specify the address and county in which the LLC offices are located. You need to provide your name and address as the LLC organizer. A member’s interest in the company is to be evidenced by a certificate of membership interest. The company is a restricted professional company organized to render the following restricted professional services. List the specified effective date, if any. You will once again need to put the LLC name and then your name and address. Put in the description of your business activity. In the example, I put wholesaling to mining companies. Add the effective date and the fiscal year end as well. If you have an EIN number, you can add it at this time. If you do not, then leave it blank.